Globus Pharyngeus refers to the feeling of a lump in the throat. Some people describe this as a ‘tightness’ in the throat which is commonly felt when swallowing saliva. This is usually not associated with sore throat. They don’t experience any difficulty in swallowing food, in fact some people find that the globus symptoms are better while eating and drinking. This globus sensation is usually felt in the front of the neck and it can move up and down or sideways. How common is Globus Pharyngeus? It is a common condition that accounts for approximately 4% of new referrals to ear, nose and throat (ENT) clinics. It is reported by up to 46% of apparently healthy individuals, with a peak incidence in middle age. This condition is equally prevalent in men and women, though the latter are more likely to seek health care for this symptom. What are the associated symptoms of Globus Pharyngeus? What are the potential causes of Globus Pharyngeus? Acid reflux – There is enough evidence to suggest that many patients with globus have concomitant acid reflux and that there is a true association between acid reflux and globus. The reflux of acid from the stomach causes irritation of throat which is felt as ‘a lumpiness’. The acid also causes an increase in tone at the upper oesophageal sphincter (UES) which results in an abnormal sensation in the throat (cricopharyngeal spasm). There has been no consensus regarding how best to diagnose and manage globus pharyngeus. A study of United Kingdom-based ENT specialists (Webb et al, 2000) found that 14% performed no tests on globus patients but rather simply prescribed antacid medication if clinically indicated. The remaining 86% investigated globus symptoms in a variety of ways, including rigid endoscopy (61%), barium swallow (56%), or a combination of these methods (17.5%). Nasal endoscopy – This is usually done in the clinic by passing a flexible fibre-optic camera through your nose to view your nose, throat and voice box. Barium Swallow – This is done in the radiology department. You are asked to drink a preparation that contains barium sulfate which is a compound that shows up on X-rays. The X-rays track its path through your upper digestive system and is used to help see abnormalities in the oesophagus and stomach. Rigid endoscopy – This involves examination of the throat, voice box and food pipe under a general anaesthetic. Avoid throat clearing as this tends to exacerbate the globus symptoms. If you feel like clearing your throat drink some lukewarm water (This helps to relieve cricopharyngeal spasm). Relaxing exercises like yoga can help. You might find that the globus symptoms are sometimes associated with moments of stress. Look at the symptoms and see when they become worse and may be you could address it. A consultation with speech and language therapist is often helpful especially for children with throat clearing habits. The most important thing to remember is that this condition is just an abnormal sensation of a lump in the throat rather than an actual growth or lump. Is there a chance that this could be cancer? Globus symptom causes a lot of anxiety among patients who are smokers or heavy drinkers. However, patients with “alarm signs”, such as dysphagia (difficulty in swallowing), odynophagia (painful swallowing) throat pain, weight loss and hoarseness should undergo more extensive evaluation. 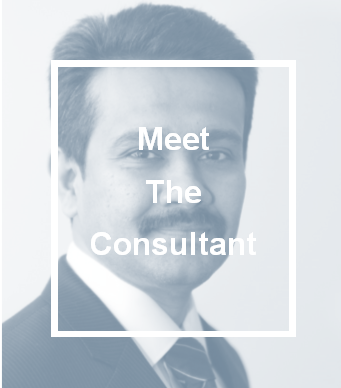 For more information on Mr Modayil, his clinical interests or to arrange an appointment, please click here. Webb CJ, Makura ZG, Fenton JE, Jackson SR, McCormick MS, Jones AS. Globus pharyngeus: a postal questionnaire survey of UK ENT consultants. Clin Otolaryngol Allied Sci. 2000; 25:566–569. Disclaimer: This information is intended solely for the general information of the reader and is not a substitute for medical care provided by a licensed and qualified health professional. Please consult your GP/health care provider for a formal diagnosis.